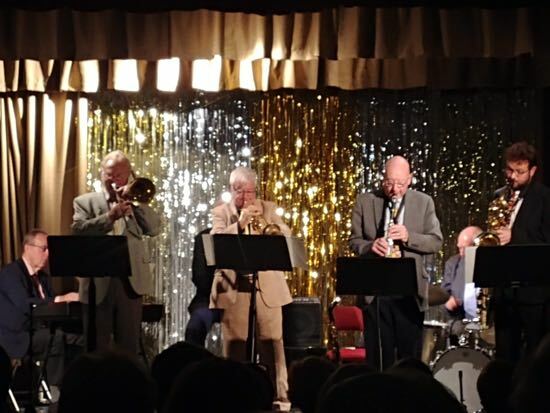 All 120 tickets were sold for the Humphrey Lyttleton Jazz Band's performance at the North Mymms Memorial Hall on Saturday night, with £1,822 raised for the Isabel Hospice. The organisers, the North Mymms Support Group for the hospice, said it was a great turn out and that people "gave generously". The hall was so full that people could be seen peering through the windows to catch a glimpse of the surviving and new members of the band, whose leader, Humphrey Lyttleton, died in 2008. A temporary lighting issue meant that the band had to started the first number without full illumination, but this was soon fixed, and the group rattled through their early hits, including the Bad Penny Blues, which, they announced proudly, "clung on to 19th place in the hit parade for six weeks" in 1956; it was their only top 20 hit. 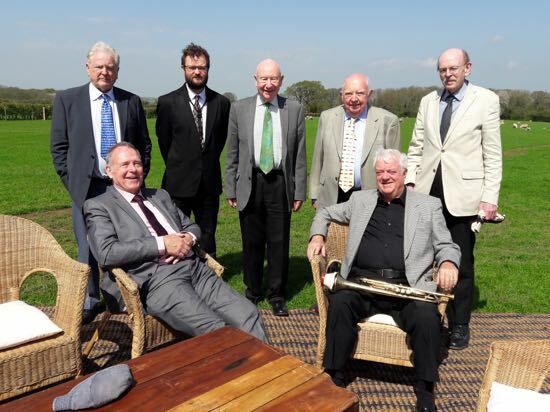 The line up for the evening was: Ted Beament keyboard, John Rees-Jones - double bass, Adrian Macintosh - percussion, Ray Wordsworth - trombone, Tony Fisher - trumpet, Jimmy Hastings - saxophone and clarinet, Mick Foster - saxophone and clarinet. The ticket price of £22 included light refreshments with cheese, pate, bread and salad served in the break between two one-hour sets. It was a BYOB (bring your own bottle) evening, and couples were soon dancing at the back of the hall as the band got into full swing. For more on the Humphrey Lyttleton Band have a look at the band's website which contains a timeline of Humphrey's life and career. For all other reactions please use the comment box below all news items. Thanks in advance for any feedback.